A French liqueur with an eau-de-vie base, St. Germain is an essential for the modern bar. It has the sweet, delicate flavor of elderflower and is fantastic in a great variety of cocktails. This is a very versatile spirit to mix with everything from Champagne and white wine to gin, vodka, and whiskey. There are many intriguing drink recipes you won't want to miss. Elderflower is nothing new to the bar. Elderflower cordials and syrups have long made an appearance in drinks, both alcoholic and not. This is particularly true in the United Kingdom where the tiny white flowers flourish and homemade cordials are a rite of summer. What St. Germain (pronounced san-jer-man, 20 percent ABV/40 proof) did in its 2007 release was give the flower a spotlight it hadn't seen in years. It made the flavor accessible to all and it has been one of the most noted additions to the cocktail scene in recent memory. That is not to say that St. Germain is the only elderflower liqueur you can buy. It is, instead, the best-known and easy to find in almost any liquor store. You can also find elderflower liqueurs from brands such as Bols, The Bitter Truth, St. Elder and Fleur, among others. A number of companies also produce non-alcoholic elderflower cordials that can be used as a substitute as well. If you're new to the taste of elderflower, pick up a bottle of St. Germain or any of these other options and give it a try in a few of these recipes. They're absolutely delightful, perfect for any occasion and a fantastic change from the ordinary. 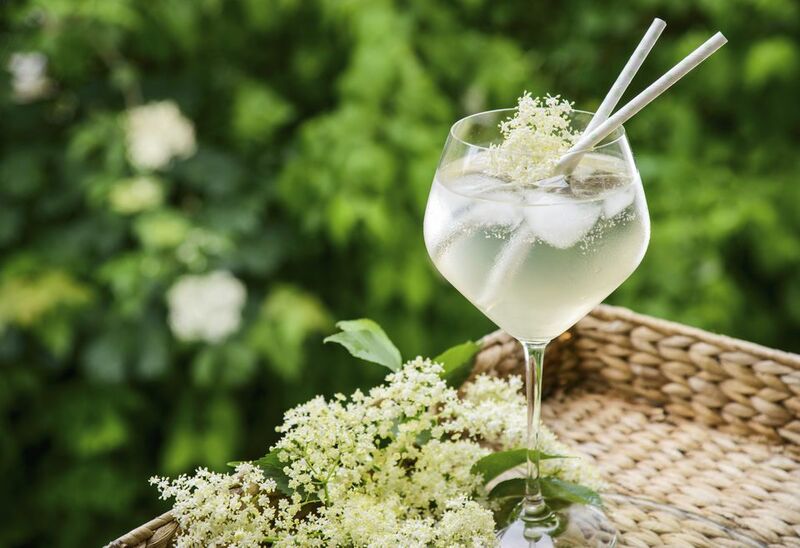 You'll find that simple is often the best place to start on your elderflower journey and the iconic elderflower cocktail is a perfect introduction. It's delicate, sweet, sparkling, and elegant. Better yet, you'll need just three ingredients. 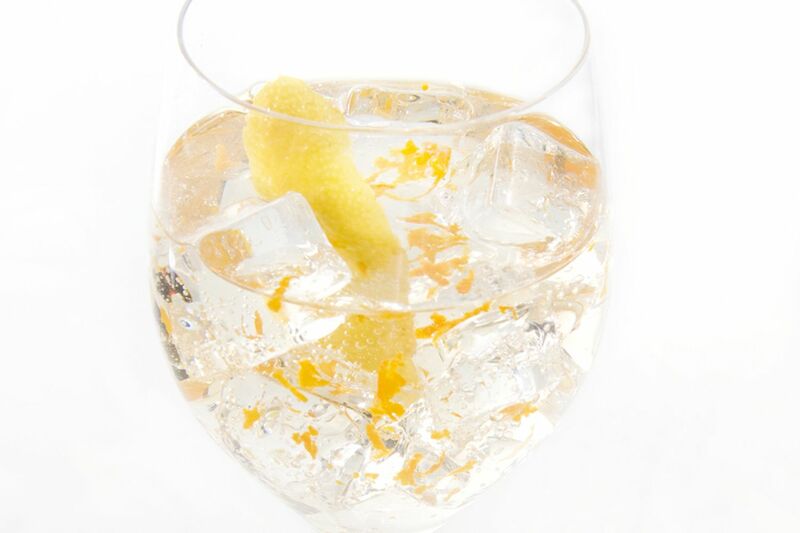 This recipe pairs St. Germain with your choice of Champagne or a dry white wine, and tops it with club soda. Incredibly easy, it's a signature cocktail of the liqueur and one you'll want to share with everyone you know. The French pear martini is another shining example of mixing St. Germain with Champagne, and it's a fantastic brunch cocktail, though it's also a nice addition to a summer dinner party. It's another three-ingredient recipe, though this time the sparkling wine-elderflower combo is accented with a pear-infused vodka. The delicate flavor is refreshing and should be considered essential to your elderflower experience. Combine the stunning visual of the tequila sunrise with the elderflower cocktail and you have the dramatic Waterloo sunset. It's as beautiful to look at as it is to drink and anyone can pull it off to perfection. You'll begin the recipe by pouring Beefeater Gin and an elderflower liqueur, then it's time for the magic. By carefully pouring raspberry liqueur and Champagne ​over a bar spoon, your flute becomes a capsule for elegant, sparkling layers. This delightful little cocktail is ideal when fresh strawberries are in season. The sweet fruit is a welcome addition and a perfect elderflower pairing. In the cherub's cup recipe, you get to choose between vodka, citrus vodka or Hendrick's Gin, each giving the drink a new flavor. The muddled strawberry against a bed of sweet, sour, and sparkling makes it a memorable drink that is pretty inside and out. When you're ready to build up to a more complex cocktail, the basil-ica is a fantastic option. It adds a few more flavors to the mix while retaining the clean profile that reflects great St. Germain drinks. For this cocktail, you'll begin by muddling lemon and syrup with a few basil leaves, add Plymouth Gin, then a little elderflower. The two styles of bitters bring this drink into the realm of a botanical masterpiece you won't forget anytime soon. The eye candy cocktail gets a little more interesting and it has a snap of amazing flavors that are sure to wake up your senses. It's aromatic, refreshing and still very easy to mix. The recipe recommends Bombay Dry Gin, which is a great base against St. Germain and the lemon and simple syrup that accompany it. It's the fresh ginger and mint that really make it stand out, though, and that splash of soda gives it new vitality. Mint and basil come together in this super fresh drink. The green gin giant is a winner on many fronts, especially if you love bringing the garden into your bar. It's another Hendrick's recipe, with that signature cucumber profile. Yet, it is the muddle of fresh cucumber, basil, and mint that really make this cocktail spectacular. Finish it off with grapefruit soda and enjoy the spoils of your green thumb. Looking for a truly unique cocktail to show off your love for elderflower? You have to get a taste of this impressive drink called "for the record." It's a little bolder than the others and that's why we like it. This recipe will introduce you to new ingredients. You may know Hangar 1 Citrus Vodka and St. Germain, but have you tried Rekorderlig Strawberry Lime Cider or the grenadine-like Cartron Grenade Liqueur? Here's your excuse and the finished cocktail is amazing. It's time to enjoy a little melon with your elderflower in this fun and simple cocktail. The melon ball drop is uncomplicated, intriguing, and you might already have everything you need in the bar. While you may think that the citrus vodka is the star of this recipe, it's actually Midori that reigns supreme. The famous melon liqueur is the base and is accented with the vodka, your favorite elderflower liqueur and a hint of lemon. Its simplicity masks its wonder. If you thought elderflower was best reserved for gin, vodka and wine, think again. It's time to pull out the Irish whiskey and mix up an interesting new take on the classic whiskey sour. The old thyme sour cocktail does not disappoint on the flavor front. Jameson and St. Germain are accented with fresh thyme, a cinnamon-thyme syrup, Green Chartreuse and that sour-essential–the egg white. It's classically styled but decidedly modern. Serve it as a single drink or build it up into a punch, this recipe is going to delight your taste buds either way. With just four ingredients—three of which are equal pours—it's also one that mixes up nice and quick. The peach punch recipe showcases the great taste of New Amsterdam Peach Vodka, which is surprisingly affordable for the taste. Add to that fresh lime and orange juices, then elderflower liqueur and you're good to go. We're done being delicate because it's time to mix up the bold, vivacious skeleton key. It's a cocktail designed for Halloween and that bloody red mess on top is not what you think. You will want to pick up a great bourbon whiskey like Corner Creek for this recipe. Ginger beer is also required and the snappier its flavor, the better. Bring in St. Germain and lemon, then dowse that cocktail with bitters to give it the signature look. On the other side of winter, you'll be celebrating St. Patrick's Day and there is a special elderflower cocktail for that as well. The sparkling shamrock is similar to the French pear martini, but it's taller and comes with extra flavor. The pot of gold cocktail relies on the perfection of the cucumber-mint-elderflower combination. It, too, includes vodka, but after that, it gets really interesting. This is another St. Patrick's Day cocktail that you can enjoy throughout the spring. The refreshing garden flavors are nicely contrasted by just a little ginger beer to give it a kick. Maintain the recipe's balance and it will become a new favorite. The most impressive elderflower cocktail is saved for the end. The aura in me recipe comes from the Greek islands and one imaginative bartender's flavor experiments. Bols Genever forms the recipe's base and elderflower syrup takes care of the floral aspects. Pine honey controls the sweetness and egg white gives us its signature foam. Yet, it is the pink pepper and cardamom that make this cocktail a showstopper.